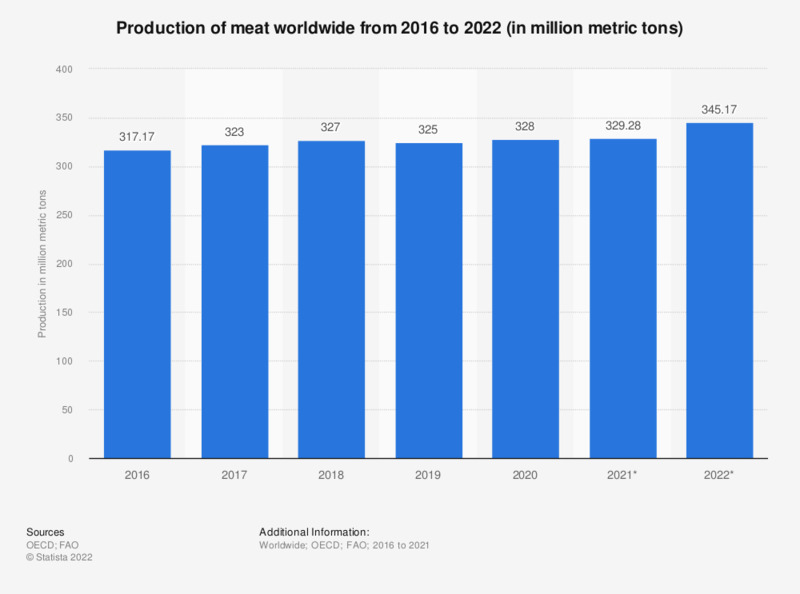 This statistic projects the production of meat worldwide from 2016 to 2018. In 2016, the world's meat production was estimated at 317.17 million metric tons. * Projection. Includes beef and veal, pork, poultry, and sheep meat. Carcass weight equivalent (cwe). The total was calculated internally.